Most of the time when we think of veggies we really don’t think about it being a protein source, but not when it comes to peas! You may not want to pass them up like you did as a kid. 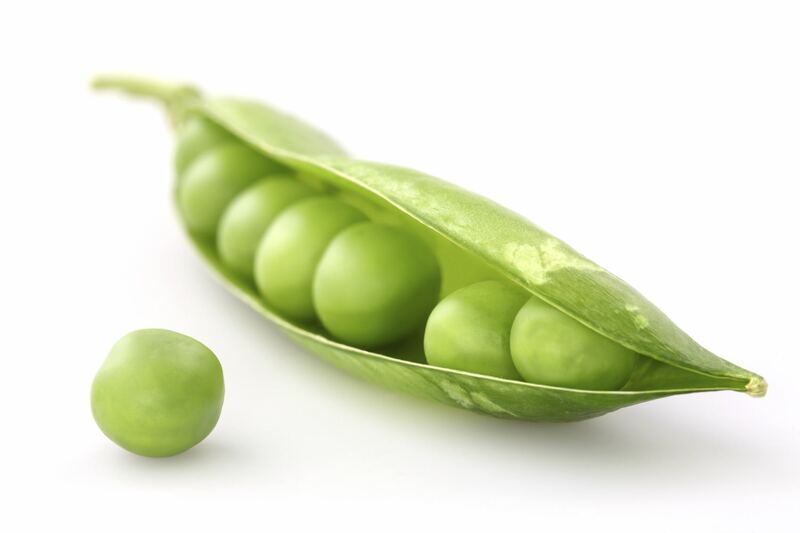 Peas have 8g of protein per cup and when made into powder form as a pea protein powder it contains about 20-24g per scoop depending on the brand. Hows that for a great source of protein without the dairy and gluten ? For those of you that have these allergies this is a great alternative for you. Not only is there a great amount of protein in each serving of peas they also have a high bioavailability and have no reported allergens. Research has also shown that these little green guys protein quality was similar to that of egg and soy, which are considered complete proteins. When it is a complete protein this means it supplies all of the amino acids that your body cannot make. Its most prevalent amino acids are arginine, lysine, and phenylalanine. One amino acid to especially mention is arginine which is needed to build muscle. It is also marked as being conditionally essential which means that you need more in times of stress or illness. Pea protein also has a reputation of having a great amount of non heme iron that can be absorbed by the body a little faster by adding in your favorite citrus juice. So if you are leery on the thought of powdered protein you can add it to a smoothie with oranges, lemons, or limes to not only disguise the taste,but also reek more of a benefit. If you do not have food allergies or are vegan pea protein could still add benefit to your diet by adding a variety of protein day to day . All proteins are not created equal therefore; it is good to choose several types to ensure you are getting an array of amino acids. Lastly, you might be wondering well what if the sound of a powdered protein doesn’t seem good to me, do not fret there are other options containing this amazing plant based protein. 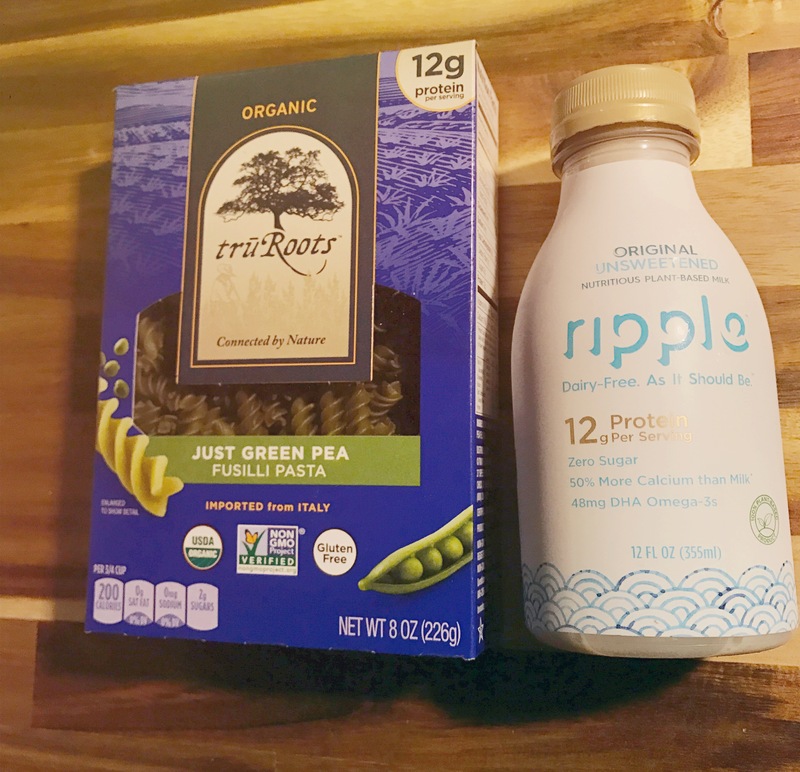 I have found a few options pictured below; pea flour pasta and pea protein milk both which contain 12g of protein per serving. This pasta can be used in place of your regular old white pasta for a yummy spaghetti or alfredo while the milk could easily be used in oatmeal, cereal, or even in a recipe calling for milk. So peas take my advice and eat your peas!!! This entry was posted in K's Kwik Nutrition Corner, Uncategorized. Bookmark the permalink.